Home >> Archive by category "Release Notes"
In this age of mass incarceration and mass deportation, the work you do every day defending the rule of law through direct representation of noncitizens is critical. Your work and subscription to the LawLab platform supports innovative mass representation projects like the Sheridan Pro Bono Project, the Dilley Pro Bono Project, and many others. You are highly committed and doing amazing work. 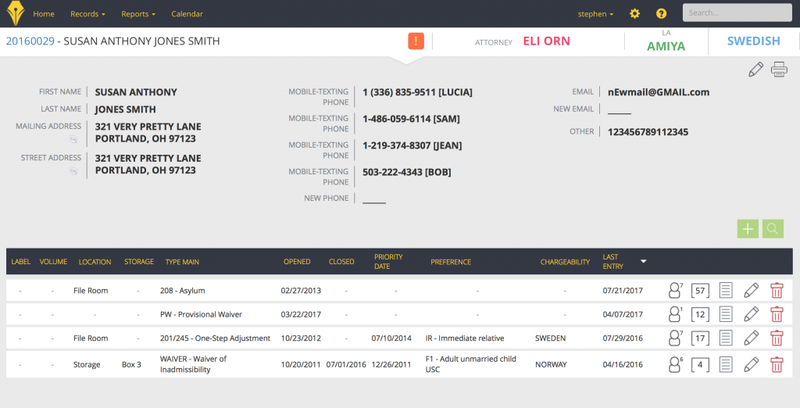 This new version of LawLab will bring more clarity, connection, and control to you so that you can continue to win every meritorious case every time, everywhere. LawLab 5.2.0 will be available to all existing LawLab customers in September. We’ve had 5.2 in beta at many of the pro bono projects. Our intrepid and overworked director, Stephen Manning, says “I cried the first time I used it: instant syncing, invoicing, workflows, and navigation. 5.2 has changed my life.” He is a bit melodramatic at times; though it is true that 5.2 brings a lot of major features to you. Instant Calendar Syncing. No more waiting for Google to pick up your calendar changes. Get instant notifications on your desktop and mobile through the Google Calendar apps. Navigation and Consultation. Navigator Portal is a new feature built off our Interview application.For nonprofits and collaboratives, trusted, trained third parties can submit client referrals for review. For firms, Navigator functions as a consultation screening system that regularizes data collection and facilitates case screening. 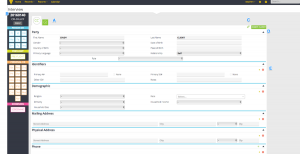 It includes a fine-grained permissions system to allow you to specify separate teams for conflict checks and case review, and a specific communicants channel just for referrers. Download all. Every document in a client record, downloaded with one click. Easier subscription management. New Manage Subscription link visible for Administrator users in Settings. Statistics reports now include Records without cases or case events. Licensing. With 5.2, there is a new license. The Unlimited license will no longer be available to new subscribers; current Unlimited license holders will not be impacted. The 5.2 license is an active-user subscription: each active-user counts against a subscription. Each user that is not disabled or limited will be counted as an active user for subscription purposes. A single administrator account, which is not marked as “Show in list” may be permitted and will not contribute towards your active user count, to encourage you to have a separate user for Administration. You will see a count of the subscribed seats and active seats at the top of each LawLab page. Please ensure you have disabled any inactive users and that your subscription reflects your actual usage. You may update your subscription here. Pricing. A new pricing plan will be introduced in September. After 5.2’s release, current subscribers may add users at today’s per-user rate of $25 per user, per month. Unlimited subscriptions will no longer be available as an option for new or changed subscriptions. That is, if you don’t have unlimited before 5.2, then you won’t be able to get unlimited. Today’s pricing will only be available during the 5.2 release. After 5.2 releases are completed, subsequent releases will only be available to subscribers using the new pricing plans. Copy/Merge Feature for Parties in LawLab 5.1! Earlier this year, we introduced Interview and a whole new way to collect and analyze core, substantive information about your clients in order to make the best decisions. Today, we introduce a new Copy/Merge feature for parties in LawLab 5.1. With Copy, information can be copied from one party to another. With Merge, two parties are merged into a single party. in the Record Caption. (The icon appears only when there are two or more parties associated with the record). In the Party Merge screen, select the “Source” Party and the “Destination” Party. Identify the party and information you want to preserve. In most cases, duplicates will have no information attached at all. 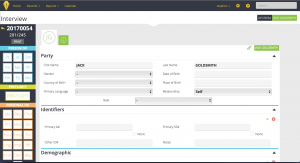 Available fields to merge will be visible once the Source and Destination parties have been selected. Fields marked green mean that information in that field will be preserved and will replace the information contained in the corresponding red field. Fields containing identical information for both Parties will be hidden to simplify the display. 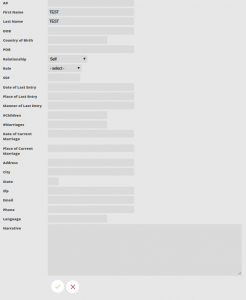 In some cases there may be Interview sections that allow multiple entries. In this case, those fields on the Destination Party will not be highlighted in red, but will be preserved. These fields will be indicated by a plus-arrow (⥅). You will need to remove these fields manually from the Destination Party if you do not wish to preserve them. All Attachments will be copied to the Destination Party by default. If you don’t want to replace the information, don’t check off any field. Clicking OK will permanently delete the “Source” party, thus eliminating the duplicate. 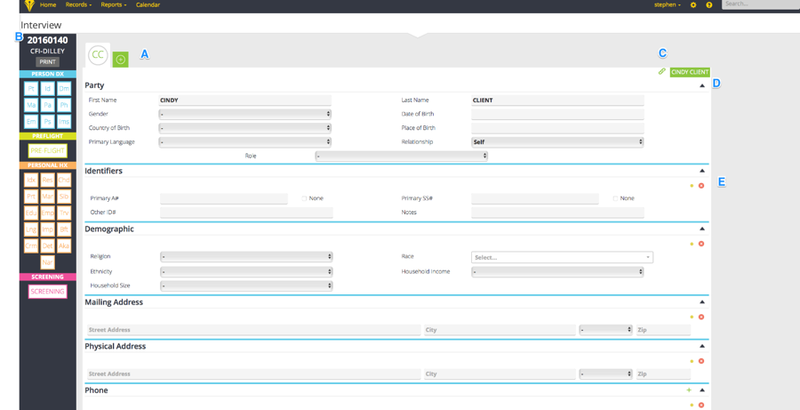 If you only want to COPY information from one party to another, select your Source and Destination parties, and check off the fields you want to copy from one party to the other, and then click on the Merge Parties option. Click OK. Your parties will still be in your record, but the information in the Destination party will now be updated according to the fields selected. Administrators control who can Copy or Merge. To turn on Copy/Merge, the administrator must set a User’s rights to Admin, Copy Party, or Merge Party. Rethinking Parties in 5.1 – What’s New? In LL 5.1, Parties got a lot of love. In fact, they got a whole new interface and data engine called Interview. Now, unlike before, Parties can easily link multiple cases within a record. Before, parties were static entries–associated only with a single case within a single record. 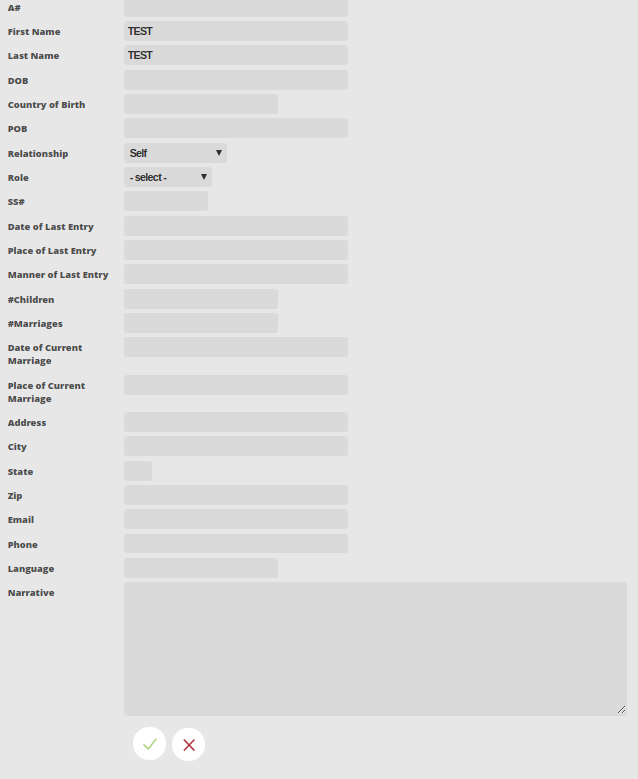 Each time a user created a new case, all the party information needed to be re-entered. This was inefficient and ineffective. It also prevented robust data collection because it was not dynamic and the data would not travel with the party as his or her case developed over time. LL 5.0 was built on the fly to accommodate an urgent need for the pro bono defense teams for the Artesia Pro Bono Project. In LL 5.1, all Parties are managed through Interview. In Interview strategic information about the client (history, claim, story, family; all information that will help to build their case) is recorded. The Interview engine is gleaming machine that is built to do even more. 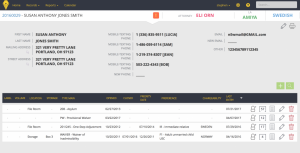 Under-the-hood, it’s engine is designed to support our next generation legal analysis modules to help you spot troublesome admissibility, eligibility, and long term relief. Interview requires that each Party have a first name, last name, date of birth, and gender. This allows for the engine to identify and link parties to the appropriate case. Transition tip: For parties entered in 5.0, you will be required to add the required information the first time you seek to update that record. You create a new record by starting a new interview. Pro tip: Leave the Record ID blank. LawLab will auto-assign a unique Record ID number that you can use for LawLab, the physical file, and all of your data systems. The number begins with the year and followed with a 4 digit sequential number, e.g., 20170045 (means the 45th record created in 2017). Once a Record ID is assigned, it cannot be changed. It is a permanent, unique identifier. That’s it. You can now immediately switch to Docket to begin adding additional case information, upload documents, enter case notes, set reminders or use Interview to update party information and add additional parties. 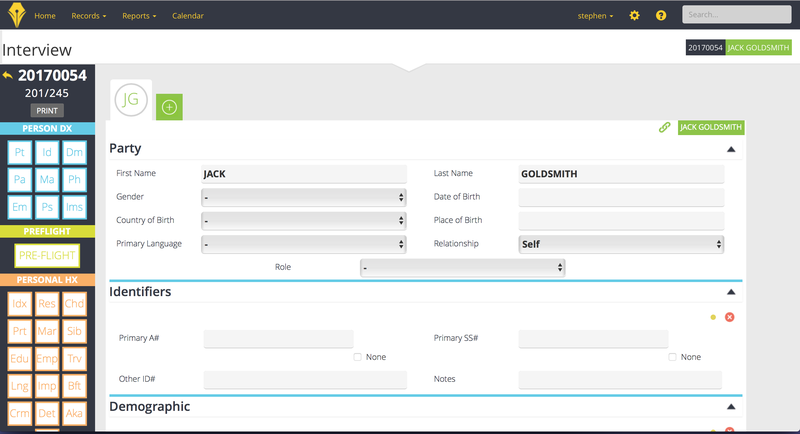 Pro tip: We like to quickly add the key Personal Details at this point: the date of birth, country of birth, relationship, language and the A# if available. LawLab won’t require you to do before switching to the Docket (and adding case information), but it is a best practice and helps speed up searches later. We are happy to announce the 5.1.0 release of LawLab. This release features a number of major improvements including Interview and Active Case Management. Interview is a single-page application that lets interviewers collect and organize the maximum amount of client information in a flexible format, allowing them to conduct interviews in a way that is most comfortable for the client and the interviewer. Active Case Management is a productivity tool that automates workflows and triggers case events, ensuring that process is well-defined and utilized throughout the practice. A feature that has been often requested has now arrived: Access Control! This allows an Administrator to create Limited users who may only access specific Records, and may have different, fine-grained permissions applied to various Records. Another important part of the 5.1.0 release is an overall security hardening of the LawLab application. Password encryption, while adequate, has been significantly strengthened. Administrators now have the ability to require that a user change their password on next login, allowing initial passwords to be shared then immediately replaced by the user. Users will also be greeted with a new login notice stating the last time and location of their session, and a warning if it appears to be significantly different from the prior session. A number of other smaller, “behind the scenes” improvements and changes have been made to facilitate even bigger features coming soon! These easy-to-use online manuals will help you learn how to get the most out of your LawLab platform. We cover the basics about LawLab in Getting Started: What is LawLab? For the new user (or even the old-hand), this guide LawLab for New Users describes how to create a record, complete a case registration, create docket entries, add documents and other attachments, understand the dashboard, and take advantage of the power of LawLab’s Interview component. You can learn about creating calendar syncs and using Markdown syntax to format entries. Administrators should review this guide to understand how to create workflows, manage users and more. Administrator accounts with either default email addresses or passwords will be forced to update their email and/or password information on the next login. Additional security features designed to prevent “session hijacking” attacks may be problematic for mobile users. To disable security features which may impact mobile users, click the “Remember Me” checkbox when logging in. LL 5.1.0 will be available in beta until January 29, 2018. You can create a subscription and take advantage of beta pricing here.